I 100% agree. Where is the money in our industry? Generally, its weddings. Certainly I make a lot of money in other areas too but it is one of the tops in general. When you make serious money in area, spending $3.5k on a body is not a huge issue if it brings a lot to the table. Personally, i absolutely adore the live view exposure and the face/eye AF. It is amazing for events. It is a serious plus. Second, it will be a step for some people shooting fast action sports as it will undoubtedly have a faster servo mode and shutter speed. So it helps satisfy that low end sports segment too. Pro sports shooters have their 1DX mkII's and will wait for a great replacement but it rocks as it is. Third, and just as important as the other reasons, Sony is having a large amount of success. Canon is back with the best competitive low end full frame mirrorless for entry level photographers or amateurs. But obviously, the 5DmkIV/A7rIII segment is missing and there is a lot of volume there amount the pros. They desperately need to fill that spot to stop the hemorrhaging to Sony. DSLR is the best tool to take astrophotography. And that's why, no matter what I end up with, I'm keeping my 5D3. I need to get out and try it now that I've got it back, but it's been modified by Spencer's in Utah. 100% agree. 2019 Wedding season is upon us already. I'm renting a Canon and a Sony. I'm hoping to make it through this season without having to invest in a new body, but it's looking like I either need to invest, or rent as needed which gets expensive. If I need to invest, where do I go...? No doubt. Canon's timeline makes sense for how they want to release things, and what they feel is best for their company. It's just not what I feel is best for my timeline. That is the question… I've been ready to buy a new camera for a while, now, and I'm starting to wonder if I should buy the RP now and resell it when the "pro R" comes out in a year or two (or three). I know the R and the RP don't meet all my needs and (mostly) wants, but there's no way to know what the future holds! But obviously, the 5DmkIV/A7rIII segment is missing and there is a lot of volume there amount the pros. They desperately need to fill that spot to stop the hemorrhaging to Sony. What hemorrhaging? Canon sold more FF ILCs than Sony last year. Canon sold more MILCs than Sony last year. Canon sold more ILCs than Sony last year. Sony sold more FF MILCs than Canon, but Canon only had one for the last quarter of the year, and with the RP in the lineup now I’d bet good money that Canon completes the quadfecta and sells more FF MILCs than Sony this year. That popping sound was either the pin of reality bursting the balloon of your opinion, or the harbinger of a flame spurt in the fire swamp. I never said that Canon wasn't doing well. The term hemorrhaging means bleeding. There is no disputing Sony has become a big player. I am buying a used 1DX mkII shortly from someone going over to Sony. One of my shooting partners has swapped to Sony. They have serious momentum and some damn good cameras and represent stiff competition. You make a very good point about sales. Canon is obviously a business and needs to be profitable. However, they are not meeting my needs as a higher end user. I currently use the 5DIV and really do like it. Canon also makes fabulous glass. I have about 20K into Canon gear. My concern is that Canon is losing the high end market and I personally believe their reputation as the industry leader was lost several years ago. While the high end market is not where the profit is made, it is where the reputation is made and Canon is losing, and losing badly. Sony and Nikon are light years ahead. The only thing keeping me with Canon is my 600mm f4. Sony has no answer and migrating to Nikon is not cost effective. If not for this single lens I would have said goodbye to Canon a couple of years ago. Canon was known as the inovators in the 80’s. They have been riding that reputation for 30 plus years but they have slipped They have been in 3rd place for camera bodies for a very long time. I believe that you have to own the high end market in order to build public trust to buy into the entry level market. Sounds like it will be another year, possibly 2 before they will produce a camera that will improve upon the 5DIV let a lone compete with Sony or Nikon. RP is double lighter than 5div . Why not wedding photographs can use rig of two camera? Upper camera could be fully automatic with 35mm lens . Down camera would be main camera with manual adjust and zoom lense,both rigged fire with same launch button. Why on earth do you not consider the EOS R a pro level camera? The only thing the 5D IV has over it is dual card slots, and if you can’t deal with that by shooting multiple cards, and backing up frequently through an event, then you should try. Everything else is better on the EOS R, and it’s made the 5D IV obsolete, to date. Spend the money on some of the new glass, and go out and take spectacular pictures. It’s what many of us are doing! The EOS R is currently improving upon the 5D IV, which is only saved by one mere card slot. They couldn’t/wouldn’t cannibalize all it’s sales. I’m also a 5D IV user, yet I prefer the EOS R in every way. The only thing the 5D IV has over it is dual card slots, and if you can’t deal with that by shooting multiple cards, and backing up frequently through an event, then you should try. Two slots, two large-capacity cards*, shoot all day mirroring, only take one of them out when you get back to base. Huh? What 10 lenses? As far as I can see you can only buy 4, other ones are not in stores, so yeah, and E mount right now has the biggest lens selection out of all the available mounts. shorter film-flange distance opens up a new world of lens design. You don't need retrofocus any more. The RF 50/1.2 or RF 28-70/2.0 simply aren't possible with SLR-style 44mm film-flange. Finally, while I take your point that you could make an SLR out of any mirrorless body by adding the mirror box, it's always going to be more expensive to do so. So, yes, other than size, cost, and lens designs, SLRs can do everything that MILFFs can. But those are three pretty important concerns to most people. I find it hard to believe that as mature a technology as it is, putting a mirror in a camera costs more than putting a high quality EVF in a camera, as expensive as they seem to be. 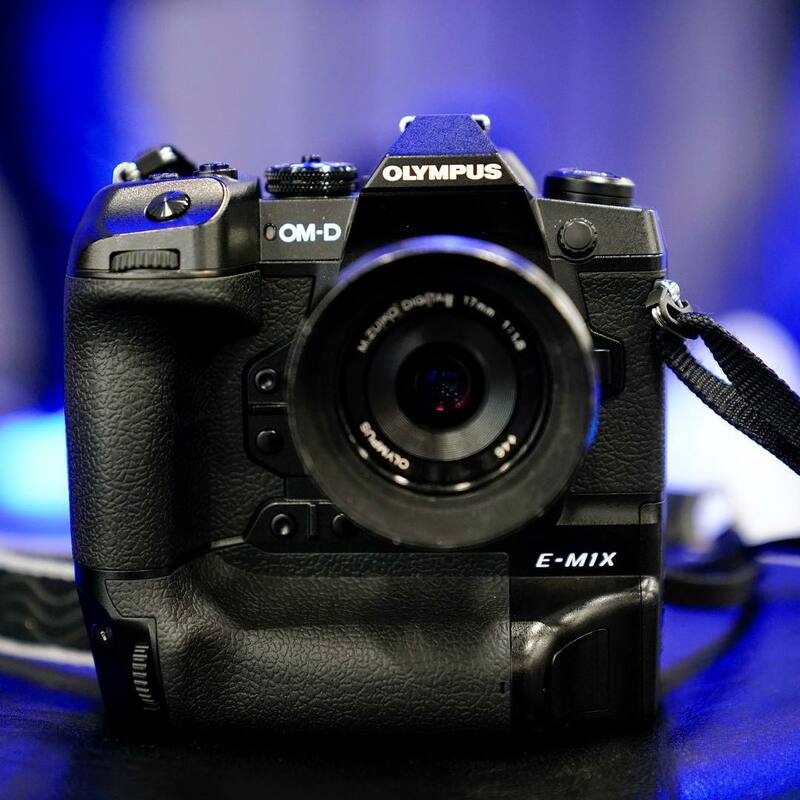 With a hybrid optical/EVF system, the EVF part does not need to be near as high resolution to get the job done. It just needs to be able to project zebras and what-not. Not common, but it happens enough to be of concern and not worth the risk. I personally haven't experienced it. I just bought a refurbished CF card, so it happens enough for there to be a "refurbished" market. I've never had one fail, but there's always the chance. Honestly, it doesn't matter to me how common or uncommon it is. If I can afford a body with dual slots over one with a single slot, then dual slots it will be.... even at a $500+ cost difference. That is true. But, we have only one heart and no redundancy there, so it may fail, and cause death. But do you complain that why we have only one heart? Similarly, in engineering design we work with probability of failure as a measure of reliability. A design decision for the weakest link in the design is to find a compromise between the cost of adding redundancy and the probabilistic gain of improving reliability. Are you sure that a signle card slot is the weakest link in the design of the R? and even if it is, the decision may be that the gain is negligible vs. the cost. After 30 years of using Canon's cameras and lenses, I have learnt to at least rely on Canon's decision on reliability of the products designed and offered. As a guy sitting in cardiac unit following a procedure.... yeah, I'm complaining we have but one heart. Silly analogy. A 2 card slotted camera can be purchased by those who need one. But Canon's industry is not weddings. Canon is also not hemorrhaging to Sony.